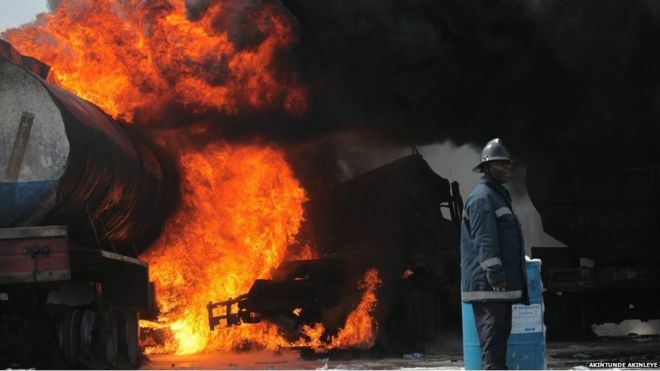 Fuel tanker explosions are so common in Lagos that local media have been known to report multiple fires in one night. 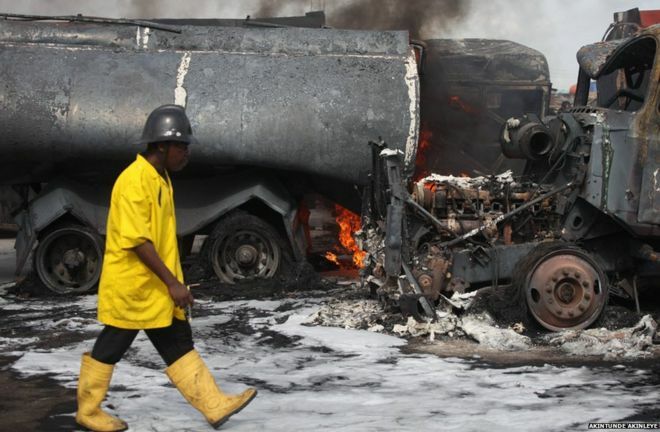 The state governor Akinwunmi Ambode recently blamed frequent tanker explosions on drivers' carelessness causing crashes. Bad brakes have also been blamed. 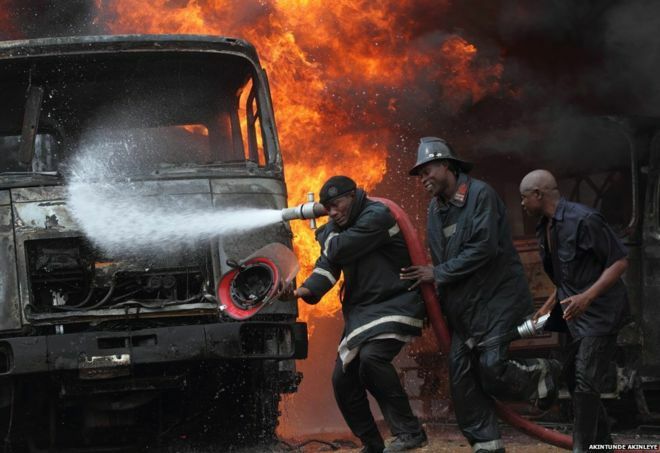 The fire service is not well equipped for a city the size of Lagos. There are very few fire-fighting vehicles and they have been known to go to the scene of a fire without water. The fire service in Lagos is not a particularly big one - there are 13 fire stations in a city of about 20 million people. Its equipment is also not designed to cope with Lagos' many high-rise buildings. 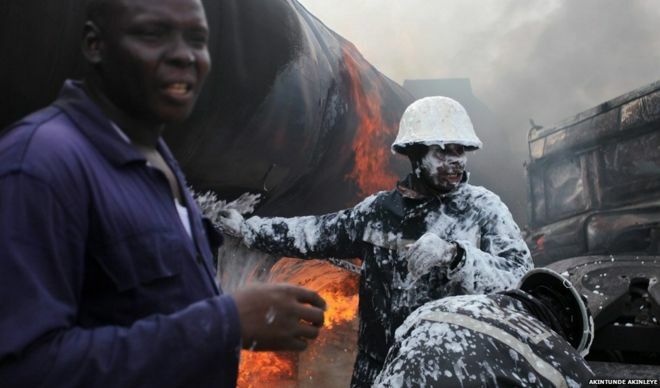 However, it is the best-equipped service in Nigeria, though the firemen risk their lives for poor pay. Fire is not the only risk - they have been attacked by angry people who accuse them of arriving late. 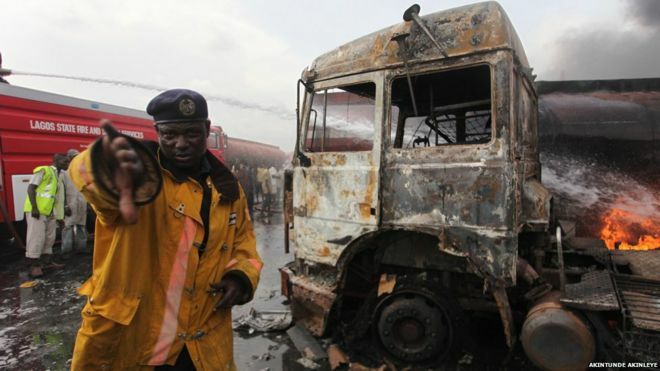 Firemen are also vulnerable to attacks from people who do not want them to put out fires so they can use the confusion of a fire outbreak to loot. 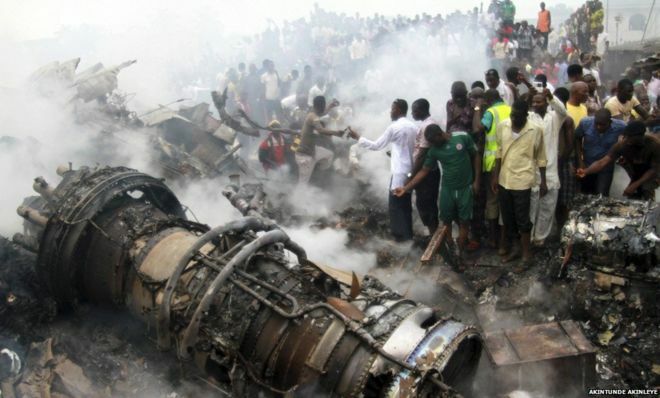 Reports after this fire in 2012 said people tried to loot this wreckage of a plane. It had fallen from the sky and burst into flames when it hit a printing works. To These Brave Men who risked their lives day in day out to fight fire situations in and all around lagos despite being poorly equipped. I think they deserve our respect just like we accord to the police and military wings of the Nigerian forces. 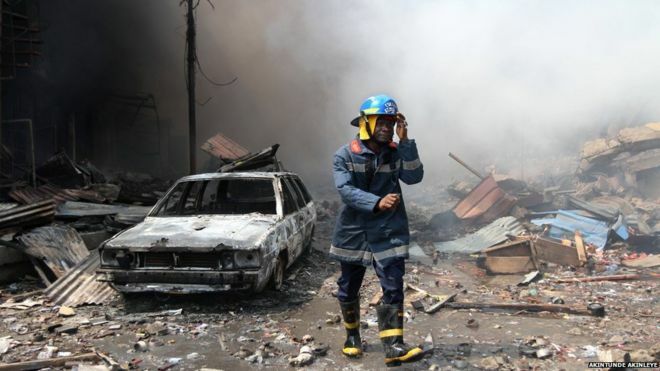 This thread is dedicated to them and to help make their voices heard with an echo sound that it is time they should be given proper attention by equipping them the more with sophisticated tools to help fight fire considering the rampaging incidence of fire all around lagos this past weeks. 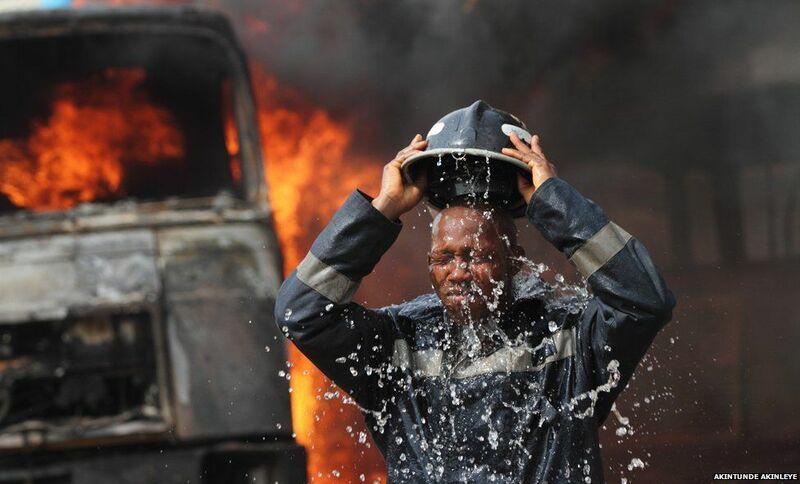 That poster above me just Saraki'ed my mandate, I suppose 2b d Thirdus Du Commentus..
Photoshop .. how could the firemen look so comfortable behind a raging fire?? Only the last picture looks real..
Men like these should be celebrated. These are heroes to be celebrated. Not one drunken master losing election and accepting the result. Or rogue politicians cross carpeting per seconds because of personal ambitions. .....And I don't know why the second man in the third picture is smiling amidst a disaster! Abeg which 9Ja Emergency number dey go? One of the most '' Behind '' jobs in america. Na which kind foolish person dey start build im house from the roof? APC is about useless change! Good one and bravo to these men. However, we must keep this thread on until it gets to the right authorities to equip the firemen properly. Imagine fighting fire on rubber safety boot. Brave men unlike the police.